It’s been a while since I played something as blatantly unfinished as Thief. At first, the game appears reasonably well polished. But the further you get into the game you start noticing glaring issues with production values and design. I started out having a good time playing this, and in the second half of the game, I was wishing it would just end. 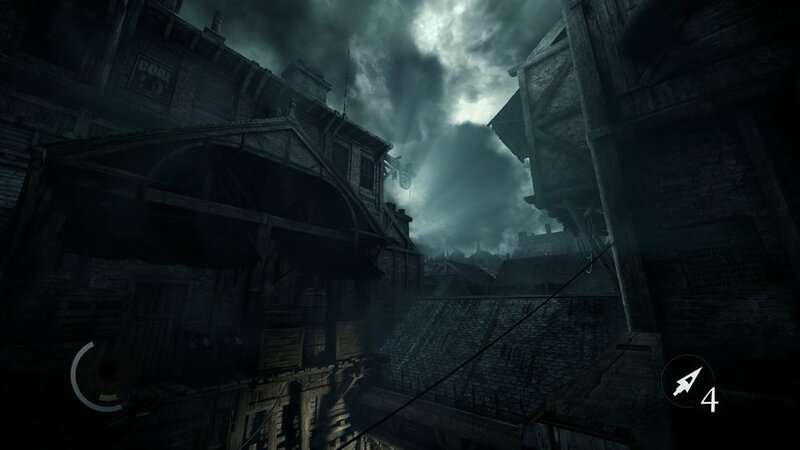 The first three Thief games set the bar as far as sound design goes. Everything from the droning ambient sound and music to the sound of walking on surfaces and NPC dialogue was as good as it gets in games. This Thief is a joke compared to them. First off it’s just not done to an acceptable level of polish. You will often not be able to hear voice over from Garrett because some ambient sound or music overpowers his voice. Sometimes his voice over is even cut off early by the game transitioning to a load screen. It’s also lacking in finesse even when it’s working normally, as you often can’t tell where guards are. If you’re inside a building someone walking out on the street will sound like he’s just beside you in the room. Elevation, walls and such don’t seem to matter to the sound engine. It’s a critical problem in a stealth game where you’re always listening intently to tell where guards are before you see them. When you can’t trust your ears it becomes hard to believe in the world as a real place. For example the surfaces you walk on barely matter in Thief. Instead of clanking noise on metal you don't notice it. Cobblestones are no different from thick carpet. In the old Thief games you could almost feel how the material felt, just by the sound it made when you stepped on it. Here it's all the same. Not only does it make it harder to believe in the world, but it also robs the game of an entire layer of strategic thinking while navigating. Another issue with the game mechanics was the decision to ditch the old movement system, replacing it with the Assassin’s Creed system. So in order to run, jump, climb or vault object you hold down L2 (or the keyboard equivalent). The game decides for you which is the appropriate thing to do at the time. Over and over again this system did the opposite of what I wanted. 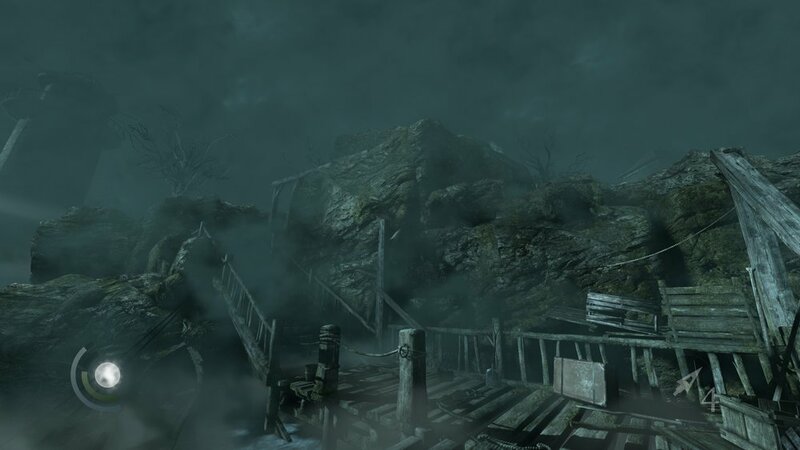 Sometimes I wanted to stand on a ledge to get a better view of the environment, and instead, Garrett leaped to his death or vaulted right in front of a guard. Often I saw objects I thought I should be able to climb but couldn’t. Or areas where I thought I should be able to jump down but couldn’t because the ground below was uneven. This makes you feel constrained in what you can do. Especially later in the game when you’ve mastered all the basic game systems and would like to experiment with more inventive tactics. Many things in the game feel like the result of a hundred cooks meddling with the design and adding their own ideas. Presumably, a faction of the Thief dev team pushed for Assassin’s Creed style navigation without realizing it meant robbing players of expression and ruining the endgame. What I found downright confusing in Thief was how bad the acting was. Most of the major characters like Garrett are fine. But far too much of the guard banter is embarrassing like it was a fan dub instead of a professional release. The script doesn’t help, but in general, the line delivery was shocking. The story as a whole hardly makes sense. A disease called the Gloom is terrorizing the city. But you don't see the effects of it in the game. I never had any clear idea what it was, how it manifested itself, or why anyone should care about it. It’s clear that the story was never finished in time. In the ending the last bit of gameplay cuts into a pre-rendered cutscene which doesn’t match what was happening in the scene at all. As if they were part of different revisions of the script, and they weren't allowed the time to bring them in sync. As it is now the ending feels like two halves of different scenes spliced together with no regard for continuity. The signs that this wasn’t ready to ship are everywhere. You have a focus ability in the game which highlights objects and traps in the world. One might assume that this is intended as a help for novice players to navigate the world easier. 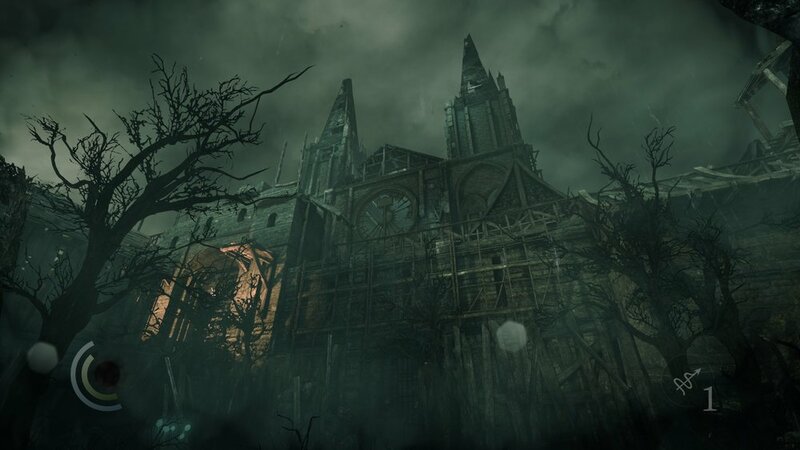 But as it turns out the developers used it as a crutch to cut corners on level design. Some traps don’t have visual markers in the world and are only visible using focus. Interactive objects like rope arrow spots are almost impossible to spot without it. There’s a minimap in the game, which is also a must if you want to find the stores in the city to buy and sell upgrades. While playing Castlevania Lords of Shadow 2 I noticed they used player assists in a similar fashion. Not to help new players, but to prop up crappy unfinished designs to a level somewhat suitable for human consumption. I hope this isn’t a trend for the future of AAA games. I want thoughtful and well-executed designs. Not some shambling wreck held together with tape and glue in the form of waypoints, minimaps and glowing highlights in the environment. Is it really that hard to do this right?